Constitution Day is one of the major national holidays in Spain. It is celebrated annually on December 6, the anniversary of the 1978 referendum, when a new Constitution was adopted. After the death of Spanish dictator Francisco Franco in 1975, a general election in 1977 convened the Spanish Parliament for the purpose of approving a new Constitution. The seven people were chosen to submit the body of the constitution. The Spanish media named them as the fathers of the Constitution. The new Constitution was approved by the Cortes Generales (the legislature of Spain) on October 31, 1978. The referendum was held on December 6, 1978 for Spanish people to vote for it. 88% supported the Constitution and it was finally promulgated by King Juan Carlos on December 27. The Constitution came into effect on December 29, when it was published in the Official Gazette. Since then the day of referendum has been a holiday in Spain. 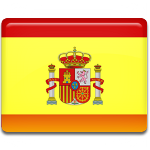 Constitution Day in Spain is celebrated as a national holiday. It is an official day off.